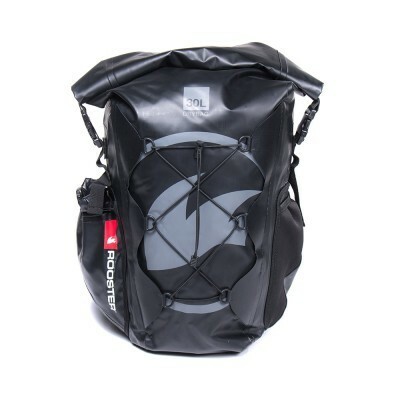 The Rooster® Waterproof 30L Backpack is an excellent addition to our kit bag range with bucket-loads of really useful features. Let’s start with the exterior gizmos and gadgets. 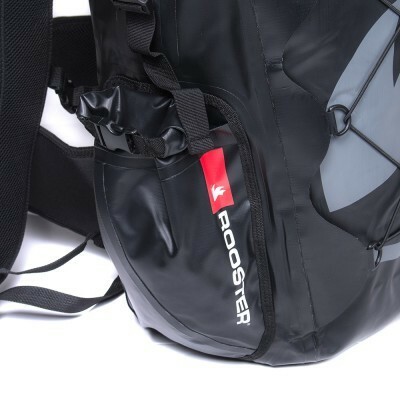 There’s a neoprene self-draining water bottle holder on one side of the bag, with a mini dry bag compartment on the other – ideal for putting small items in that you want to be easily accessible without opening the main compartment. 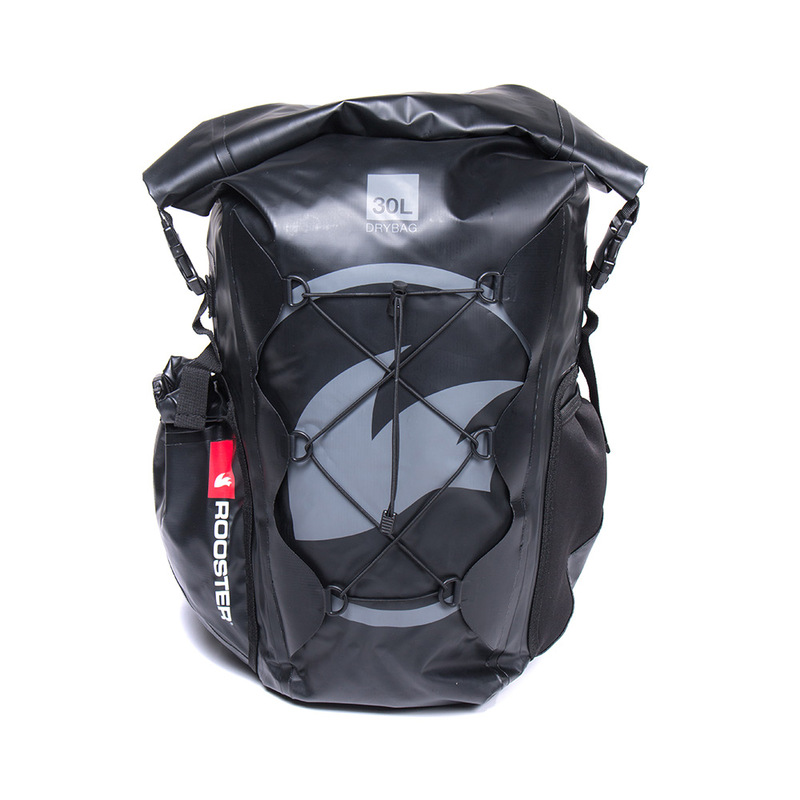 The front of the bag has an elastic draw cord which could happily take a pair of flip flops or wetsuit boots that would otherwise make the contents of the main bag filthy or wet if you were to store them in there. 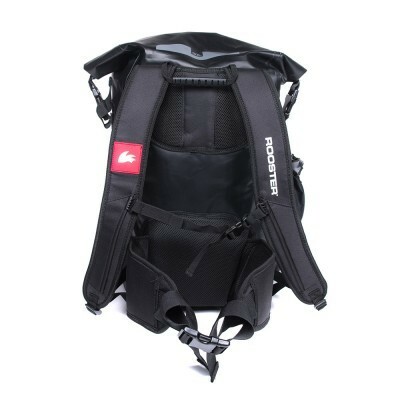 Moving on to the back of the bag you will find shoulder straps, a padded removable waist strap with lumbar support and a grab handle. Inside the main compartment of the bag the seams are taped and reinforced and there is another small zip pocket for putting valuables in so that they are easy to find when you need them. 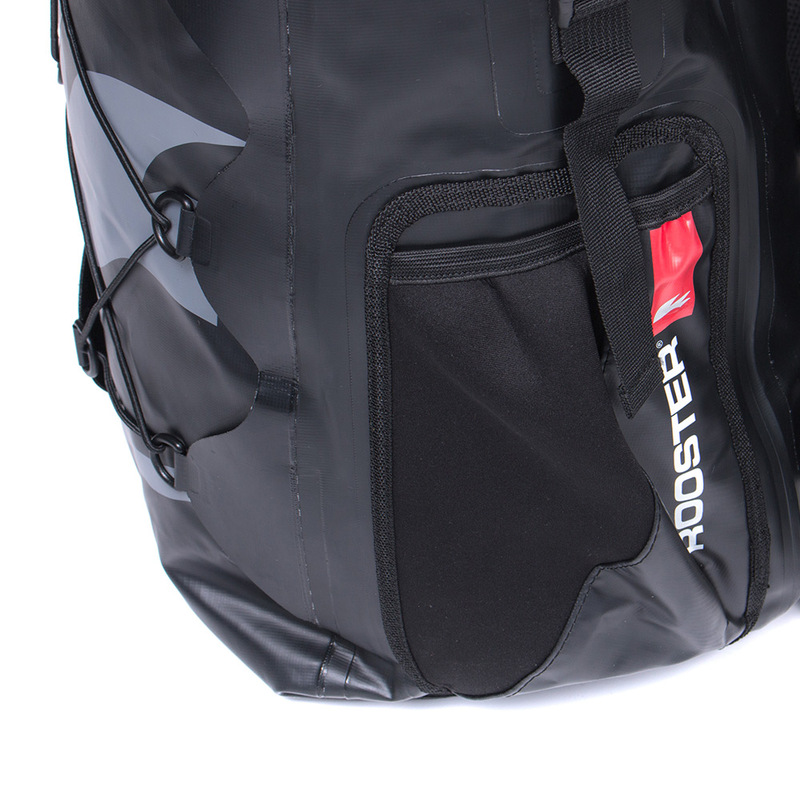 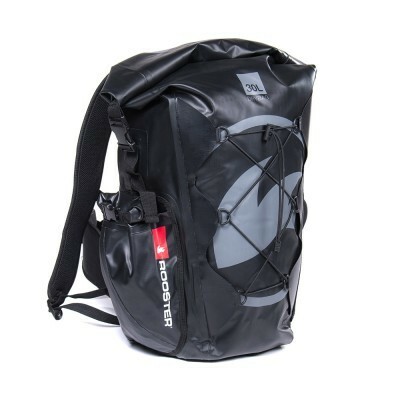 A fantastic, multifunctional, waterproof bag that will make you wonder how you ever coped without it!